Coolmax is the first choice produced by using the advanced technology and its breathing structure if the topic is sleep in the ideal microclimate conditions. Contact body temperature has a great importance for all the bodily functions. 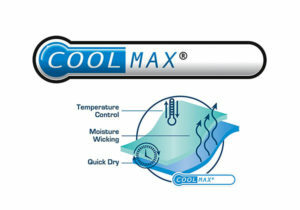 Coolmax is one of the 21. Century fiber and known as smart fabric. Coolmax fabrics have the feature of absorbing and transmiting the moisture and provides a constant body temperature and a comfortable sleep environment with its quality of soft and breathing texture. 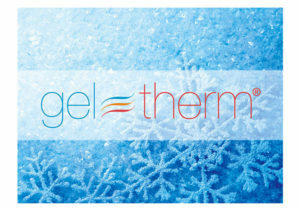 An extraordinary and effective polyurethane foam that provides a pleasant sensation of freshness and temperature control. It helps to dissipate the natural accumulation of heat and moisture generated by the body while it is in contact with the product. It’s a material with excellent water vapour permeability and moisture transmission. Thanks to its cellular structure with open cells, the natural moisture buildup produced by the body is dispersed efficiently. Non-toxic material, free from volatile substances and plasticisers, with particular features of softness and elasticity thanks to the extraordinary air circulation guaranteed by the “enlarged” three-dimensional structure. 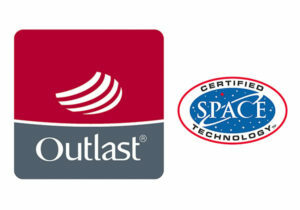 Outlast is a special heat-regulating fabric which was originally designed for space suits. It contains millions of spheres made from a special wax that melts at a temperature of 36 degrees. When the body temperature raises in night time, the excess heat is absorbed and when the temperature drops below the melting point, the spheres regain their shape and firmness thus releasing the accumulated heat. 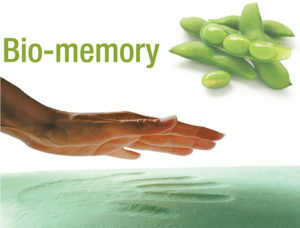 Bio-memory molds to the body in response to heat and pressure, evenly distributing body weight. It then returns to its original shape once you remove the pressure. Ecological and resistant material as we used soyal-oil instead of chemicals. Tencel is a form of rayon which consists of cellulose fibre made from dissolving pulp (bleached wood pulp). 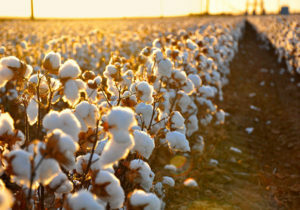 It shares many properties with other cellulosic fibres such as coton, linen, ramie and viscose rayon. 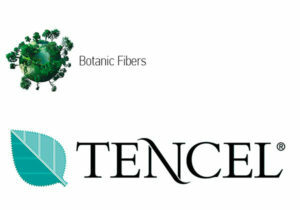 Some main characteristics of Tencel fibers that they are soft, fresh Absorbent, very strong, and resistant to wrinkles. Tencel is one of the most environmentally friendly regenerated fabrics. 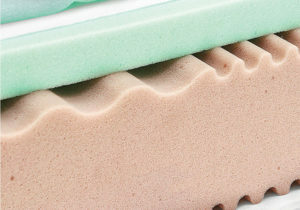 The combination of two types of polyether, one that gives rigidity to the mattress, the other that improves resistance and non-deformability. The structure is made of microcells connected to each other resulting in a foam that can “breathe” correctly. This makes the mattress hygienic, heat balanced and capable of absorbing and rapidly dispersing body humidity. A material made of a microcell structure connected by capillaries expanded at a particularly high density that creates a softer consistency when compared to Elioform while maintaining the same benefits as Elioform. A fresh material with a pleasant tactile feeling which guarantees the greatest breathability. Such 100% organic fabrics are GOTS certified by an accredited Ethical and Environmental certification body, which assures that the fabrics are produced with no harm to either people or the environment. 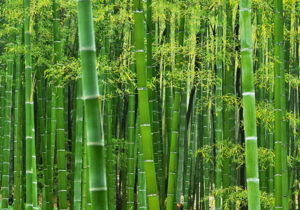 Bamboo fiber is entirely covered by micro-slits to allow excellent air flow and moisture absorption, so that your body will be cool and dry. Furthermore, its excellent resistance will ensure long life.